Barnes Healthcare Management Group provides not only excellent care of residents, they have developed extensive services specific to care centers and assisted living centers and their residents. At Barnes Healthcare Mgmt. we meet and exceed the needs of care centers and assisted living facilities by putting their residents FIRST. Care and assisted living centers can often struggle to obtain the appropriate care for their residents for reasons as simple as not being high on the list for physician visits. Our dedicated healthcare services are designed to answer the specific needs of both care and assisted living centers and their residents, providing custom solutions for all resident care concerns. We know resident care is your first priority, so we make it ours as well. Care and assisted living center staff cannot provide the treatment residents need without orders. 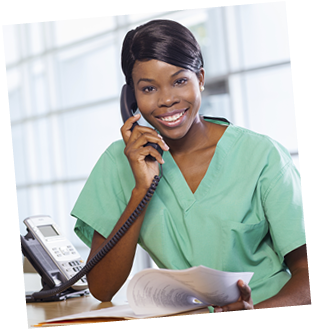 This is why we provide a constant connection for nurses to contact with questions, concerns or inquiries about follow-up orders, so residents can receive the immediate attention they require. 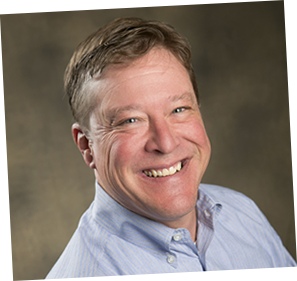 Dr. Eric Barnes, acting Medical Director at Barnes Healthcare Mgmt., brings leadership, guidance and quality control to care centers and assisted living centers. Having attended many ALJ hearings, Dr. Barnes understands the quality assurance format, resolving issues before they become reported complaints. Dr. Barnes stays ahead of the curve, fully comprehending the ever-changing care center and assisted living center regulations and rules. Having experience with all survey regions in the area, Dr. Barnes has formed working relationships with surveyors providing networking conducive to successful complaint resolution. Our extensive drug management service provides a secure manner to assure drugs are not being abused, stolen or mishandled. Barnes Healthcare Mgmt. staff is trained in narcotic drug management within care centers and assisted living centers and are aware of the ramifications you may face if proper control is not enforced. We act as safeguards, implementing tracking systems, to prevent over-administration of narcotic drugs. Once a resident is admitted, their prescriptions are immediately tracked. Nurses have the ability to see what is being dispensed and when it is time for a prescription to be filled. This convenient tracking system makes calling in prescriptions unnecessary; they are monitored and, in a timely manner, available for pickup at the pharmacy of your choice. The Barnes Healthcare Mgmt. nursing triage is able to provide immediate resident care by providing a direct, immediate connection to a physician. Your residents will no longer needlessly wait until their personal physician was able to physically assess ailments. Your care center and assisted living center staff simply contacts us, explains the resident’s situation, or puts in an order, and action is taken immediately. Should the situation be more serious, your resident is put on the schedule to be seen ASAP. Through frequent visits, Barnes Healthcare Mgmt. is able to create swift, reliable service and care for your care center and assisted living center staff and residents. Our physicians make multiple stops per month based on care needs to our covered care centers and assisted living centers, creating ample opportunities for POS signing and eliminating excess paperwork caused by lack of physician visits. Our staff, available 24/7, handles phone, email orders and inquiries immediately. Faxes and emails are answered throughout business hours. Barnes Healthcare Mgmt. utilizes EMR, ensuring important, pertinent information is safely stored. This also creates secure online medical record keeping, allowing convenient access to a resident’s history and information. Our experienced nursing triage helps to create a support system to avoid unnecessary hospital readmissions. We provide nurses a telemedical consult, assuring appropriate steps are taken and an educated decision has been made declaring hospital admission is the true and necessary resort. In a case where an inexperienced nurse is perhaps uncomfortable handling certain medical circumstances, they can simply call and one of our trained nurses or doctors is capable of handling the situation until one of the nursing home’s more experienced nurses can be contacted.